Your essential guide on badges, panels, playable games and more at PSX. Would you look at the time! We’re just one week away from PlayStation Experience 2017! As we inch closer to this year’s big community show, this essential guide will help you make the most of your experience, whether you’re joining us at the Anaheim Convention Center or tuning in from home. *Limited Availability. Access available with Early Bird Ticket. For those joining us in Anaheim this year, scooping up your badge will be high priority! See below for full details on when and where to pick up your PlayStation Experience 2017 badge — and be sure to bring a valid form of ID when you pick it up. Early Bird ticket holders can attend the Friday night PlayStation Presents special presentation. If you are interested in attending, we recommend picking up your badge as early as possible as you will need it to enter. Make sure to download the Experience PlayStation smartphone application before the show starts! It will be your key to unlocking rewards, game demos, and more! Available for download on iOS and Android devices, the app is like your sidekick who lives inside your pocket, giving you all the tips and tricks to get the most out of PSX 2017. Just in time for PlayStation Experience 2017, attendees can use the app to enjoy numerous improvements and great new features. Make sure to have it ready when the doors open! Early Bird ticket holders, we’ve got something special cooking just for you on Friday night. Starting at 8:00pm Pacific time, you can listen in on candid discussions with some of PlayStation’s top developers, get updates on some key titles, and hear some special announcements. Kinda Funny’s Greg Miller will also be dropping by! Your badge will be required for entry, so make sure to pick it up. Can’t make it to Anaheim? Stream the show live at live.playstation.com. By logging in with your PSN ID, you can unlock bonus content by watching PlayStation Experience live and VOD content starting at 8:00pm Pacific, Friday, December 8. You can also stream PlayStation Experience from Twitch, YouTube, and Facebook. We’ll have 100+ playable games on the show floor this year, including unreleased titles. Don’t worry, you’ll have two days to try your hand at as many as you can. Here are some of games we can share right now, but there will be more waiting for you once the show floor opens on December 9. Capcom Cup is returning to PlayStation Experience 2017, with the finals taking place on Sunday at 2:00pm Pacific time. Watch the top qualifying players from the Capcom Pro Tour compete for more than $370,000 in prizing and the chance to be crowned the Street Fighter V world champion. We’ve got some fancy folks joining us at PlayStation Experience this year, and you’ll have your shot at autograph sessions with a handful of them! While we can’t announce our full lineup just yet, below are some of the teams you could get a chance to meet. You spoke, we listened. This year autographs will be managed via the Experience PlayStation smartphone app. If you are excited about this list make sure to download the app early and keep your finger on the trigger when the sessions open up. Space is limited and RSVPing is the only way to get to get in! Posters will be provided or you can bring an item of your own to be signed. Please note only one item per person is allowed – we’ve set up these sessions to fit as many fans as possible. 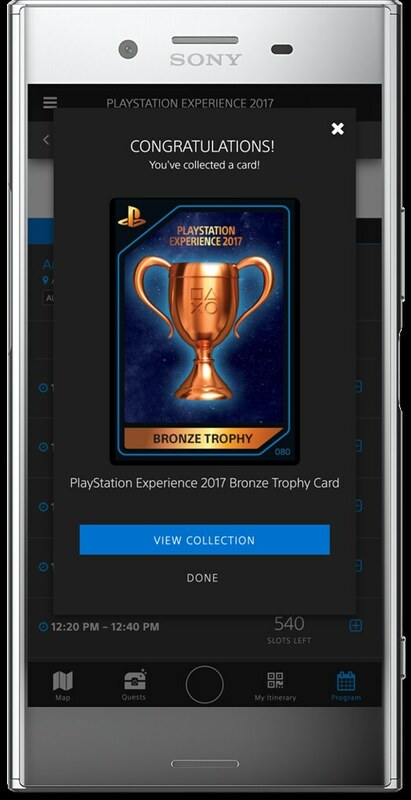 Back in October, we announced that collectible cards are coming back for PlayStation Experience 2017. For those unfamiliar, we have about three dozen limited-edition, foil-embossed cards scattered throughout the show for you to discover. 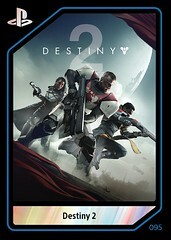 Attendees can also earn PlayStation Trophy cards by taking part in quests. Use your wits, divide and conquer, and by the end of the weekend you could find yourself with the entire set. 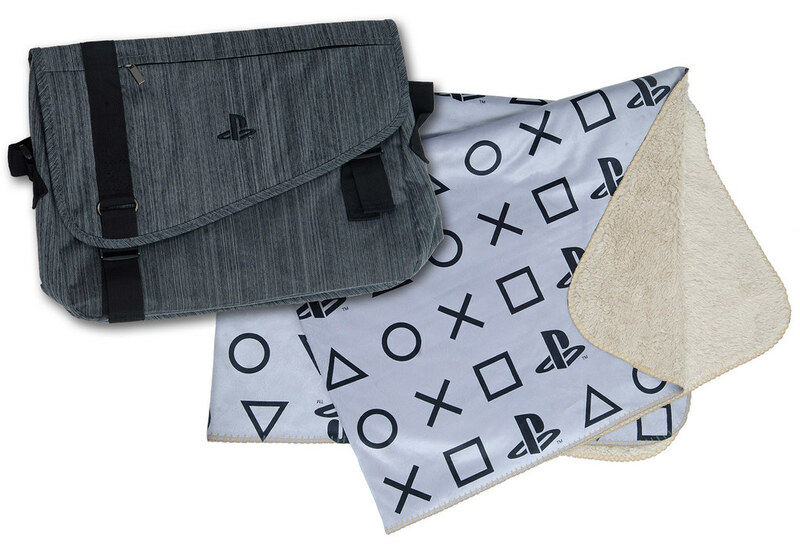 We recently unveiled just a taste of the of the PlayStation Gear one will find this year at the PlayStation Gear store. With our biggest lineup of clothing, collectibles, and limited edition products, you are bound to find the perfect gift for yourself and everyone on your holiday gift list. Last year, many items sold out quickly — don’t wait until the last day to get your favorite gear! And be sure to bring a Visa or Mastercard; we won’t accept cash. Whew, did you catch all that? Now you’ve got everything you’ll need to have an unforgettable PlayStation Experience. Make sure to check back to PlayStation.Blog for more updates throughout the week, and keep this post handy as we get closer — we may add other information to help you get the most out of the event. 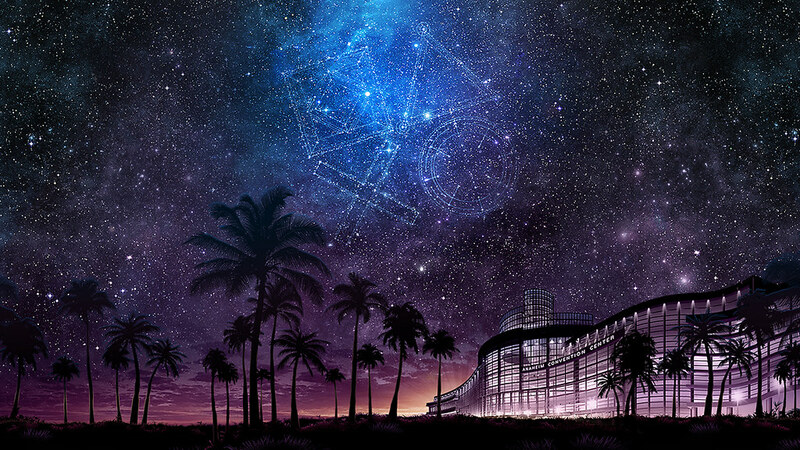 We can’t wait to celebrate everything PlayStation with you next week — see you in Anaheim! Awesome. I’m glad the autographs are much more organized than last year. I can’t wait! Will we be able to register for multiple signing sessions (if we are fast enough) or will it be limited in some way? It will be limited to two sessions per person, per day. Wait so are you saying that there will be signing sessions on Sunday too? As much info as this post gives it certainly is leaving out a lot of pertinent info. 4th time going and I can’t wait to see the posse! @ OmG_iTz_JP This is my 4th psx as well, and there have never been any issues bringing backpacks. It’s very common for people to bring gaming themed backpacks, such as the Infamous sling bag that came with the CE, and I’ll be walking around with my nice new Destiny 2 CE survival bag. Thank you thank you thank you for changing he autograph system. I am even more stoked for this year now! Can items not-related to Uncharted and Last of Us Part II be signed in their sessions? Yes, within reason (our staff will be making judgement calls). Please note that you can only get one item signed per session, so choose wisely. Will the gear store be open on Friday night for early bird access? Does anyone know if the showroom floor is open for early access, or is it just presentations? Also, is the store open then too!? Sad that DMCV didn’t make the cut. Why would they mention something that hasn’t been confirmed? I bought the bundle with the VGA admission, where can I pick upt the admissions for that event?? Haven’t received an update on that matter. You should be receiving an email with Game Awards ticket pickup information soon. has the app not been updated for psx yet? I don’t see it as an option to look at? The PSX update will be released closer to the show, but I’d still recommend downloading it now. 5 bucks says the first signing is Kojima. 1) How can we tell if we have early bird passes or not? I did not see any option to select for those when I registered a while back. 2) If we do not have early bird is there anything to do on Friday that we can attend or is it just badge pickup? It’s likely you have a standard 2-Day ticket if the Early Bird option wasn’t up when you registered. There isn’t anything official happening on Friday besides PlayStation Presents, but Kinda Funny is having a community viewing event for it in the Hilton Anaheim lobby. So from what I read, it sounds like we will no longer be using our badges to scan at demo booths, like the previous 2 years, instead we use the app on our phone to scan something at each demo booth to get rewards. Is that correct? Also we will still be able to wait in line to play demos if we don’t RSVP right? Correct – you will use the app to scan in at booths to unlock rewards. Some demos will require RSVPs, some won’t – keep an eye on the app for more details. I can’t wait! I’m going all the way from Buenos Aires, Argentina. I will be arriving at noon on Friday. Will the PlayStation Presents be able to accommodate all early bird ticket holders? Thanks a bunch and see you soon! PlayStation Presents has room for all Early Bird ticket holders, just make sure to arrive on time. Quick question, it sounds like we need to rsvp to book certain demos. 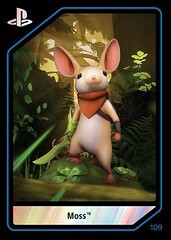 Does that mean if we don’t book in time that we miss out on playing the game and getting the collectible card too? Was literally about to ask the same question. I don’t want to miss out on a card because the RSVP list filled up too quickly. Hopefully the games with cards you’ll be able to wait in line too to play and get a card. Please clarify. If that happens, approach a staff member who clearly has cards, calmly and respectfully explain the situation and ask if they will just give you a card. I’ve found that they will almost always say yes. Awesome, I’m glad that we can do the scanning now, most devs kept the scanning phones in their hands, so it was hard to get a hold of. Are we allowed to bring a backpack into the convention? I want to get some things signed but don’t want to have to carry them around all day. Yeah, that’s fine. They will check it before you actually walk onto the show floor though. I purchased my early bird ticket back around August. Will I need to arrive at 10AM like everyone else to pick it up, or can get it later that day? Later that day is fine! Badge pickup just BEGINS then, in case you want to beat the rush. PSX ’17 101 is nicely done, but will watch it online. Have fun. What if the app isnt compatable with my phone? Will i still be able to attend autograph signings and demos? I have proof that I paid for my ticket through an Amex bill, but never received confirmation code. How do I get it? 1.How will IGN determine the top games? By most sold, most played or by user reviews? 2. Last years show was interrupted online due to some server issues. Will that addressed this year? I would like to be there but due to injuries from my military service I won’t be able to make it at all ever. Is there any way that people like myself could get their hands on some of the on-site goodies without having to pay an arm and a leg from a third party scalper? PS day 1 gamer…. Seasparrow. Will there be any announcement when Experience Playstation is updated with PSX info? Don’t want to miss signing up for sessions and found out later that it has already been filled. Why wasn’t there an option for 1 day tickets? That’s a little silly for those of us that can only make it to one day. what about the main thing ” PlayStation Keynote ” ? there is no mention of it ? Anyone by chance know how much is charged for Parking for this event? Who can I talk to about lack of photo ID? I recently lost it and have to go in to replace it tomorrow. Sweet! Guns of Icarus still coming. At the part of PS Gear…lololololololololololololololol…must be some sort of trolling or another symptom of the world going crazy and backwards.”We won’t accept cash”…really?…unbelievable. Will last years cards be sold this year as well? 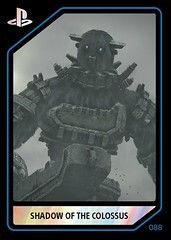 I like the card hunting, but most of the devs who had the cards were greedy and sometimes only gave it to people they knew. So I gave up tracking them down. Can’t wait!!! This will be my first time!! Can we bring in GoPros?? I can’t wait to head out to Anaheim tomorrow. This will be my first PSX this year. One question though: is my badge required to RSVP for an autograph session via the app? I haven’t picked up my badge yet (probably not until tomorrow) and I don’t want to miss out. I like the personable presentation so far. Another game I’d like an update on is Wild. I don’t have very high expectations in terms of announcements, but something from Studio Japan may surprise me. I would also hope to see some gameplay for 13 Sentinels from Vanillaware, but I doubt it – they will focus on promoting the PS4 release of Dragon’s Crown.